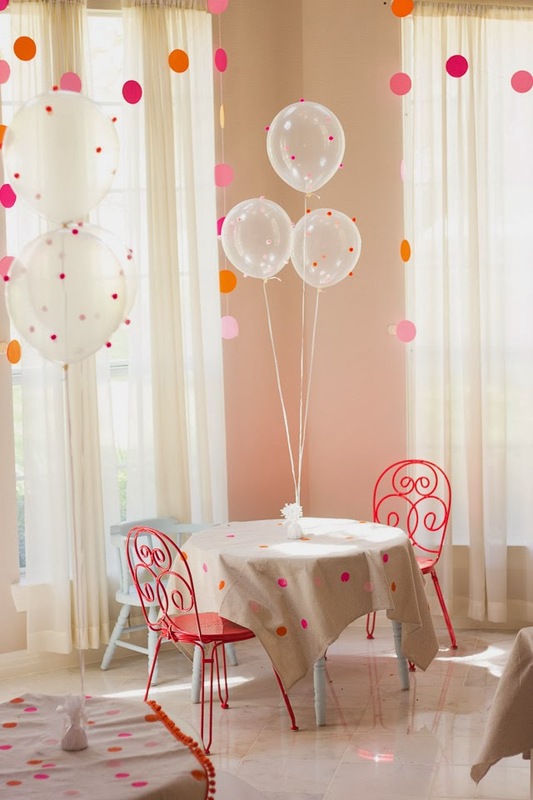 Hazel’s Rainbow Unicorn Birthday Party! Earlier this month we celebrated Hazel’s 7th birthday with a pool party. 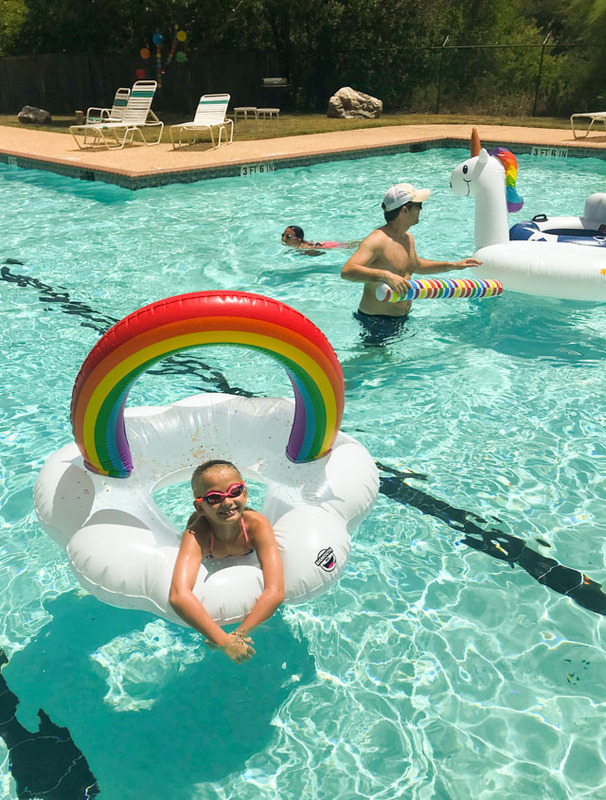 Not just any pool party – a rainbow unicorn filled pool party! 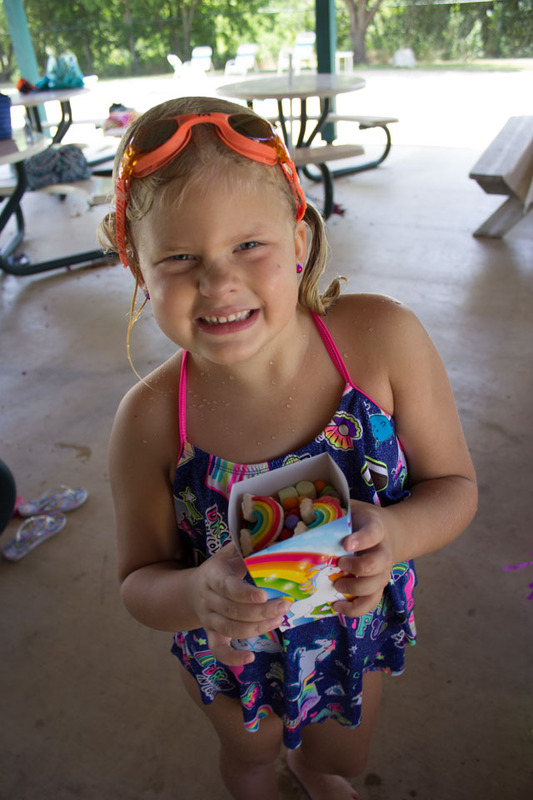 With the help of some colorful supplies from Oriental Trading we created a magical day filled with lots of fun at our neighborhood pool for Hazel and her friends! Read on for more photos of the big day, and head to Oriental Trading’s Fun365.com for all the details. Our neighborhood pool has a nice shaded area where we set up a party table and hung paper lanterns from the tree. 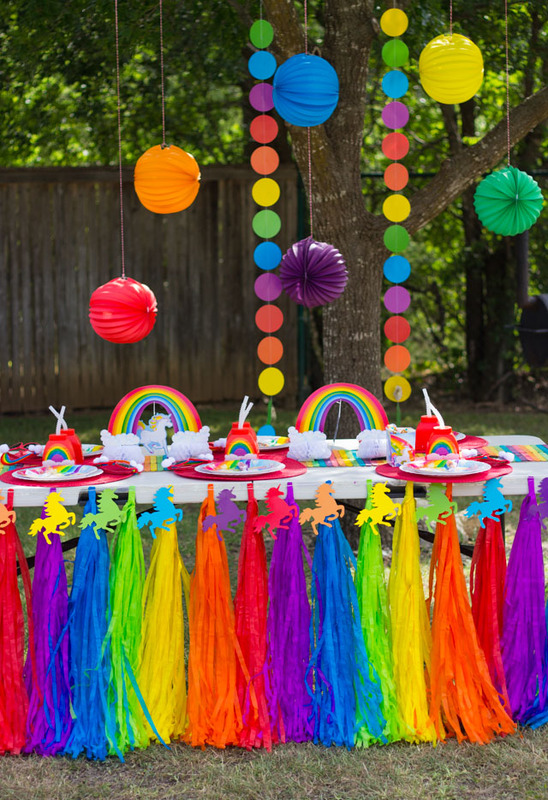 To make a basic folding table party-ready I edged it with a fringe table skirt and placed a rainbow table runner down the middle. 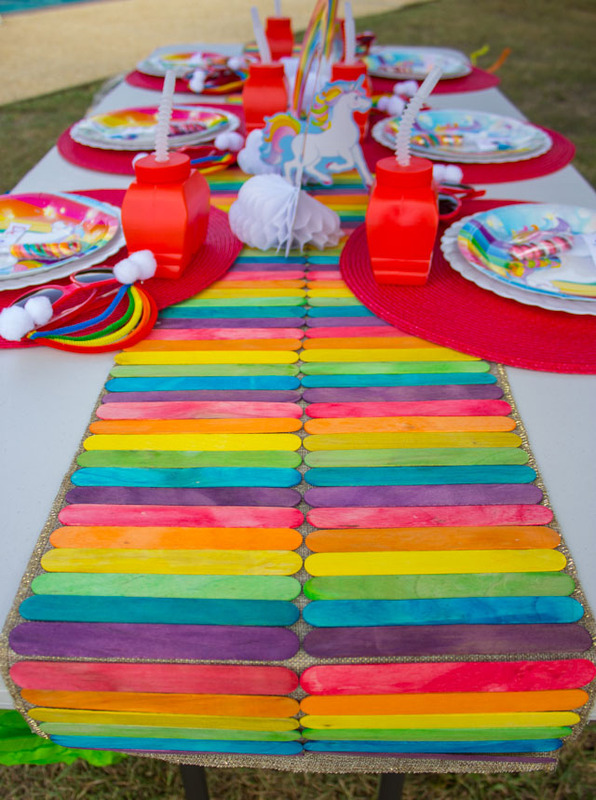 I made the runner myself with colored popsicle sticks – check out the rainbow table runner tutorial! 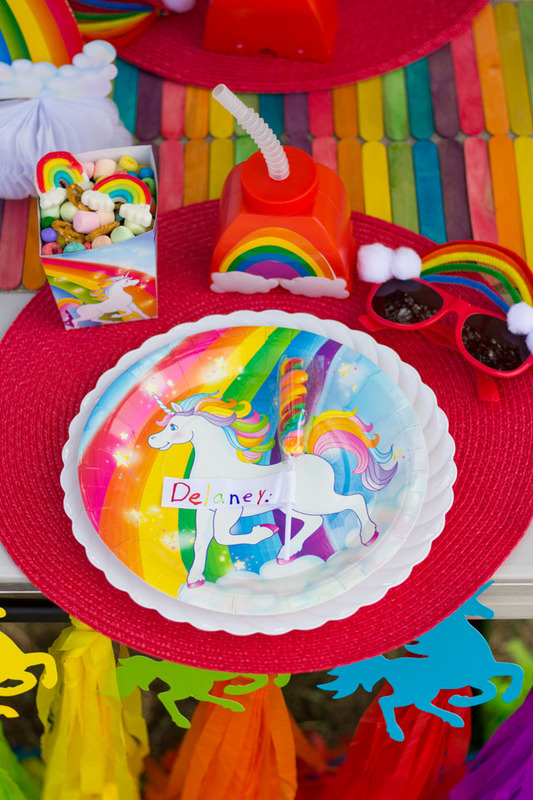 We used lots of rainbow unicorn party supplies throughout. As a fun favor for the party guests, I made them each a pair of rainbow sunglasses. All you need are some pipe cleaners and pom-poms – get the tutorial here! Of course the pool was the main attraction and having a few giant pool floats for the kids to play with was a big hit! 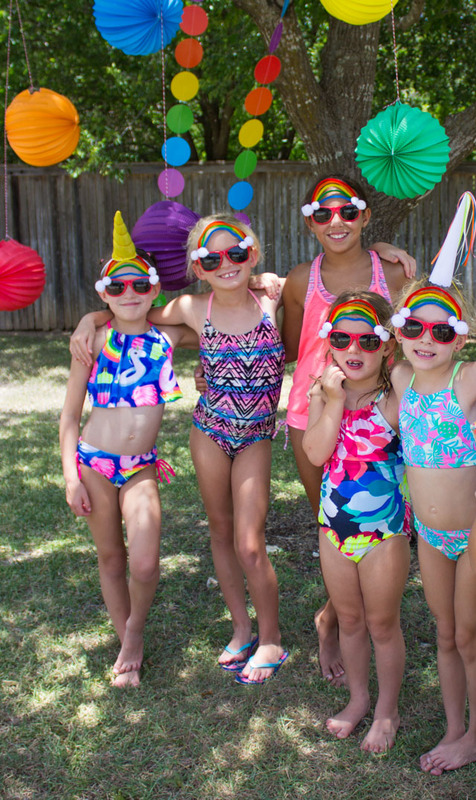 Head to Oriental Trading’ Fun365.com site for all the rainbow unicorn pool party details and the full list of supplies! This post is sponsored by Oriental Trading.